In a new feature, the just concluded Heimtextil 2019 focused on healthful sleep as a lifestyle trend under the theme “Future of Sleep,” Under the title “Smart Bedding,” 134 exhibitors presented their latest sleeping systems, mattresses and bedding. This includes functional materials as well as innovative technology solutions for a better night’s sleep. During the expo, the sensor mat “Sleep” by Withings analyzed the user’s night’s rest and gave tips for a more restful sleep. The debut “Future of Sleep” segment of the show was developed in collaboration with sleep expert Markus Kamps who, along with his team, was present to advise trade fair visitors during a “First Aid Sleep Consultation Hour”. 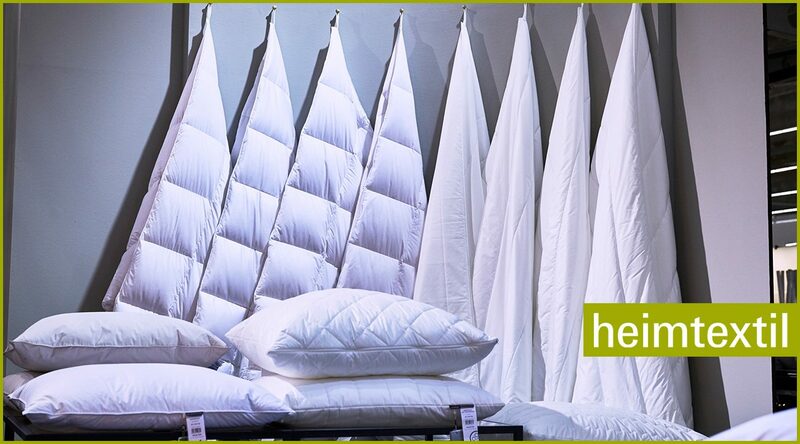 Heimtextil, the biggest international trade fair for home and contract textiles, was held in Frankfurt am Main from 8 to 11 January 2019. Frankfurt, Germany – In a new feature, Heimtextil 2019 will focus on healthful sleep as a lifestyle trend. The debut “Future of Sleep” segment of the show was developed in collaboration with sleep expert Markus Kamps. He and his team will also be on hand to advise trade fair visitors during a “First Aid Sleep Consultation Hour” in the foyer of hall 11.0. According to Kamps, the optimal choice of bed linen, blankets, pillows and mattresses that suit the body and individual characteristics is just as important as optimal room design. The sensor mat “Sleep” by Withings analyzes the user’s night’s rest and gives tips for a more restful sleep. New products in this segment will be combined on a separate hall level (11.0) for the first time. Under the title “Smart Bedding,” 134 exhibitors will present their latest sleeping systems, mattresses and bedding. This includes functional materials as well as innovative technology solutions for a better night’s sleep. Kamps, a sleep researcher, and other international experts will present on the current state of research in sleep medicine as part of the new “Sleep! The Future Forum.” In four thematic areas (Science & Digital, Sports, Hotels and Sustainability), the experts will provide information about the latest scientific and research findings along with an outlook on the future of sleep. The Sustainability block in the lecture forum will cover the material quality of textiles and the quality of their processing, in particular the verifiability of high environmental production standards. Sustainability experts from GoodWeave, Control Union, Transfair, Texool and Cotton made in Africa will discuss their various eco labels.